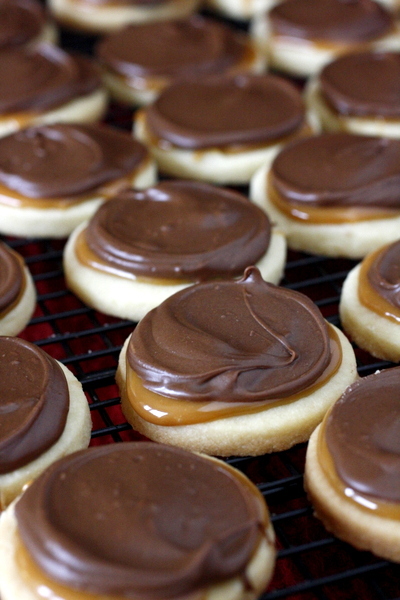 How cute are these Twix cookies? 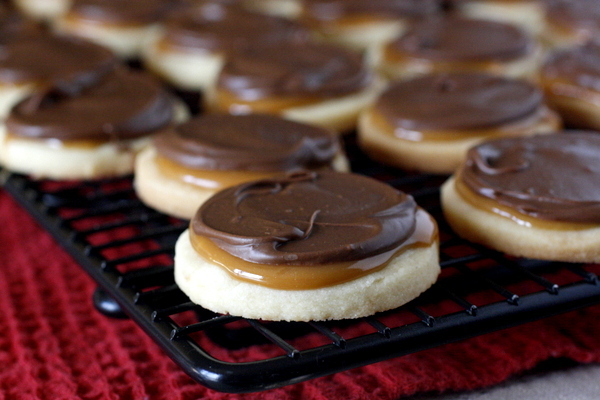 If you love Twix candy bars then these cookies are for you! 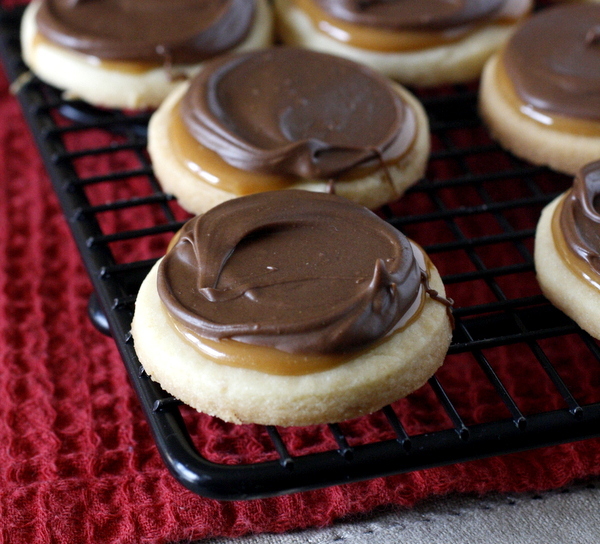 They are the perfect combination of shortbread, caramel, and chocolate. Just typing that out makes me want to make more of these – yum!! It goes without saying that they are delicious, but I also love how pretty they are – cute little round cookies with yummy layers of candy on top. And believe it or not, they really do taste just like a Twix candy bar! I made these for my Christmas cookie trays this year and they are almost always the first ones to disappear when I set them out! I guess people just love the flavor of Twix. 🙂 Plus how fun is it to have a cookie version of a classic candy bar? I might try this with all my favorite candy bars! Twix Cookies are day 4 of the 12 Days of Christmas Treats! I will post a new cookie every day for the first 12 days of December. You can see all these recipes from over the years under my Christmas Cookies tag. 🙂 See all of this year’s cookies here: 12 Days of Christmas Treats 2015. Enjoy! And, as always, let me know if you try any and how you liked them. 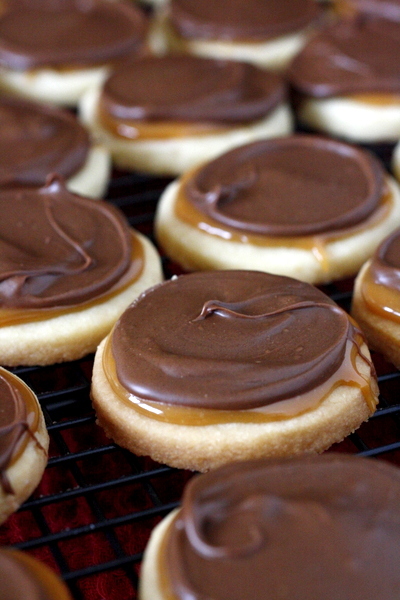 These twix cookies have a shortbread cookie, caramel filling, and chocolate topping - just like a twix candy bar! Combine caramel and evaporated milk in a microwave safe bowl and melt according to package directions. Spread over cooled cookies and let set. In a small microwave safe bowl, melt chocolate chips and shortening in 30 second increments, stirring in between each increment until melted and smooth. 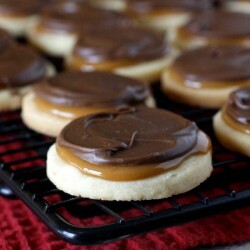 Spread over the tops of cooled caramel.